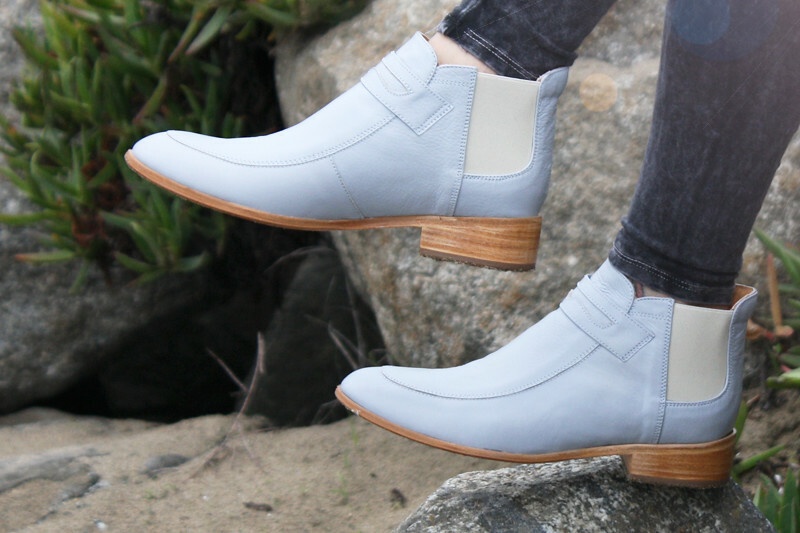 I went for a walk along the beach by the lighthouse after a Sunday brunch in my newest Plomo Simona boots in baby periwinkle blue. I have been eying these babies for the longest time but I couldn't justify spending nearly $300 on them but luckily I snatched them 40% off from Solestruck's giant black friday sale. 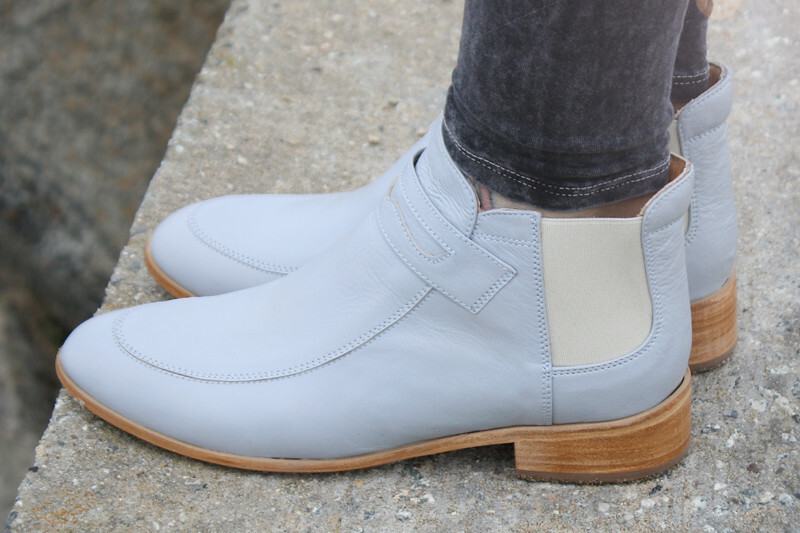 These penny loafer like booties are made of 100% leather inside and out, they are so soft and comfortable to walk in! What I love the most though is the color, I have never seen shoes in such an unique baby periwinkle blue! I paired them with an ombre knit sweater, acid wash leggings, and a studded leather backpack. Well, there you have it, my lazy Sunday look! Ombre knit sweater from F21. 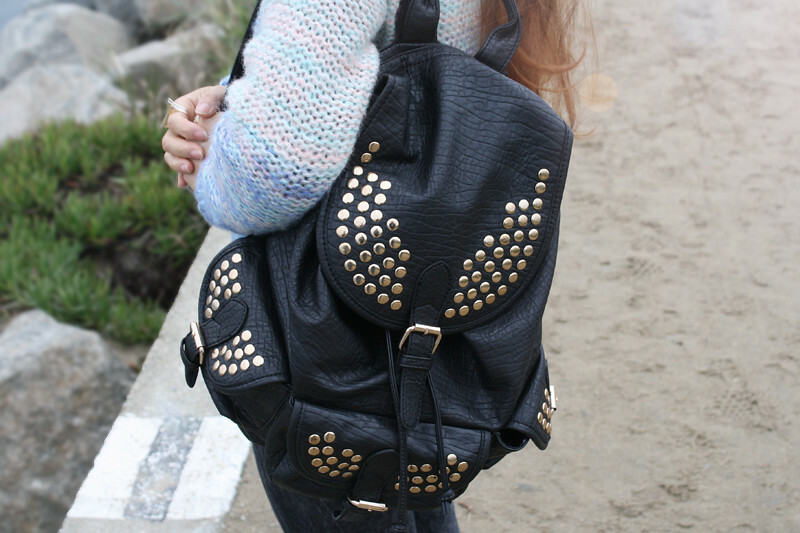 Studded leather backpack by Street Level from my work Sway. Simona boots by Plomo from Solestruck. I really love those shoes! WOW. Great find.